When most people think of college life, they think of Greek Life with it. Most universities have affiliated Greek frats and sororities, but then there are schools like Ithaca College that prohibit it. After a student died in a fraternity-related hazing incident in 1980, IC banned all social Greek life. But despite this ban, unofficial organizations still exist at IC. Kappa Sigma is one of them. 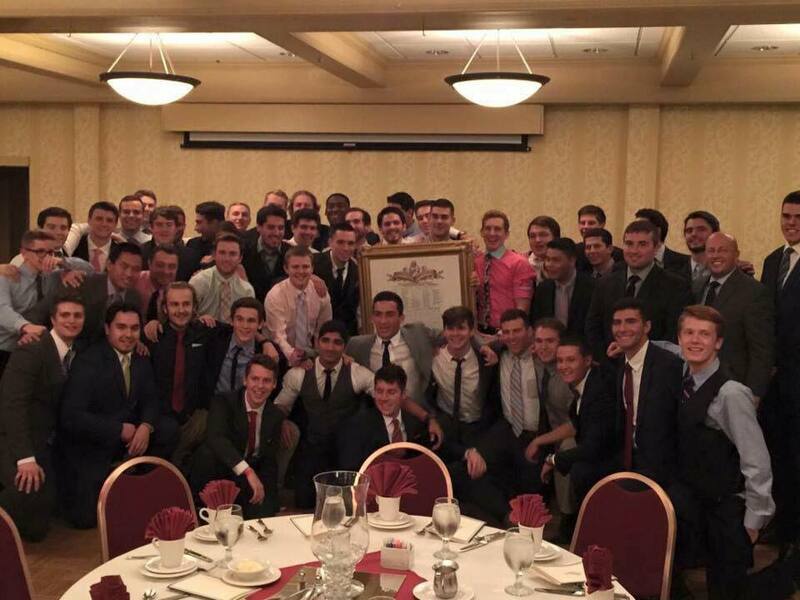 The brothers of the Tau Rho Chapter at Ithaca represent the largest social fraternity in the world: Kappa Sigma, which today has more than 200,000 living members. 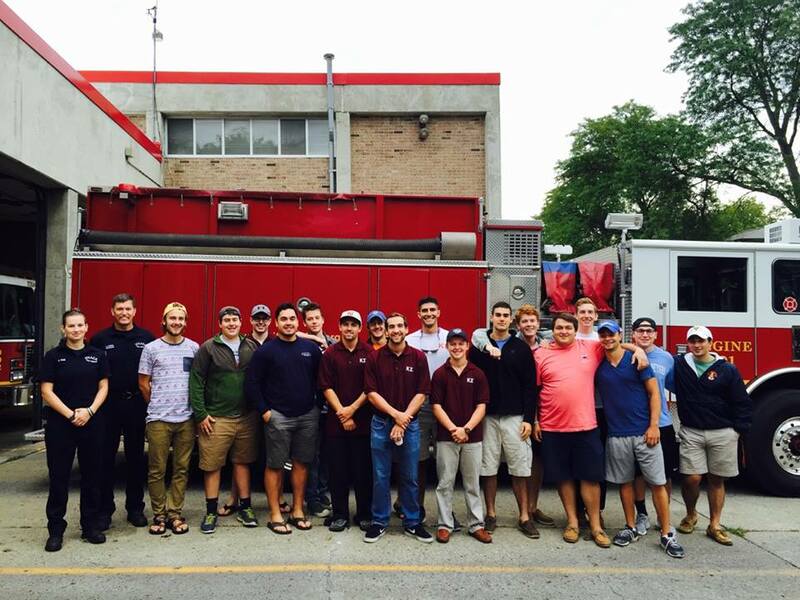 Some of the Kappa Sig brothers at the Ithaca Fire Dept. We spoke with the brothers of Kappa Sig on how they’ve been able to overcome the obstacles of being an unaffiliated frat on campus, and how they continue to embrace their four core values of fellowship, leadership, scholarship and service. How has the ban of Greek organizations at IC impacted Kappa Sig? While the ban on social fraternities and sororities has presented challenges for us, it has forced us to immerse ourselves within the Ithaca community as a whole rather than just the Ithaca College community. We do participate in events on campus, most of our philanthropic events take place off campus. We have found different ways to step in and help the community. By coming together, we have pooled the resources necessary to help this community in small but impacting ways. How does rushing and pledging work out for you these past years? The process of pledging is something that we want our pledges to never forget. Everything we do is designed to strengthen their fellowship with each other. Pledging is a very secretive process and we are selective with the young men we choose as pledges. Before selecting pledges, we hold a rush week for anyone who may be interested in joining our brotherhood. We use the rush events to help us evaluate a young man’s character and determine which of them can make real contributions to our fraternity. We promote our rush week using a number of different tactics such as sharing photos and posts on social media, handing out business cards and designing our own rush t-shirts to promote around campus. 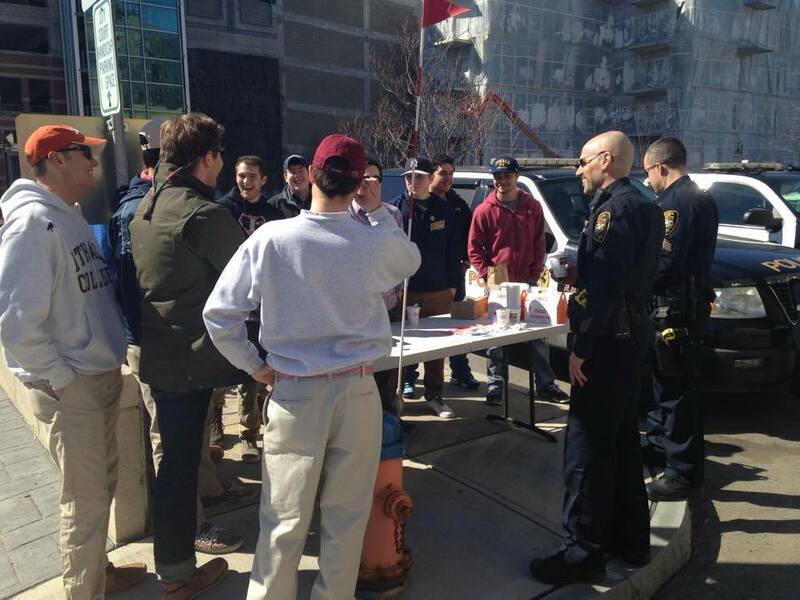 Perhaps the best way we’ve been promoting our rush week is by simply talking it up on campus. What have been some of the most memorable events Kappa Sig has been in? Two of our favorite events are the Ithaca Veteran’s Day Parade and The Relay for Life at Ithaca College. 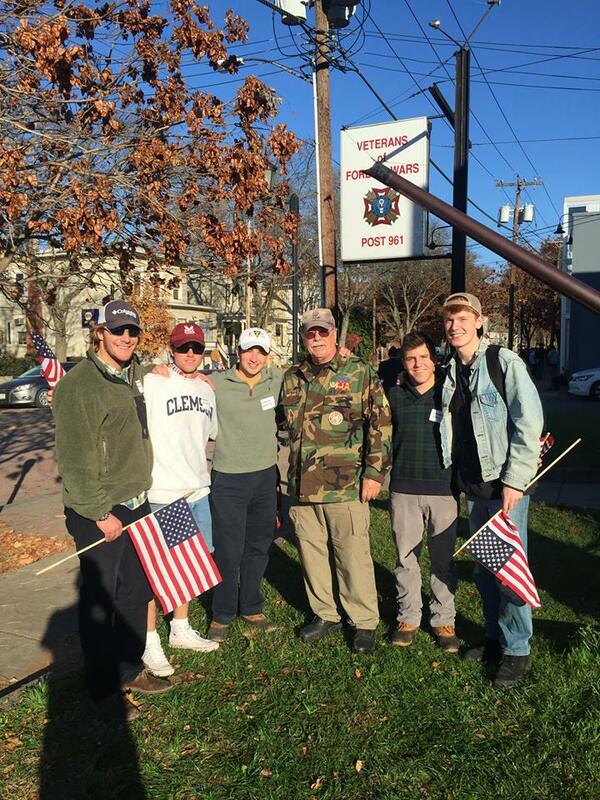 During the Veteran’s Day parade, our brothers worked with VFW (Veterans of Foreign Wars) and other community volunteers to help set up the parade route. At Relay for Life this year, our brothers were able to contribute nearly $8,000 to the American Cancer Society. During both of these events, it was evident that our help was appreciated, and it felt great knowing that our efforts were making a difference. What role has Kappa Sig played in your lives? There are guys in this fraternity who were originally unhappy at IC and had come close to transferring, but Kappa Sigma changed their minds. There are guys that came to us looking to make lifelong friends and Kappa Sigma was there for them. When you realize the potential impact that a strong brotherhood can have on a community, it makes you want to work harder. Building this camaraderie with your brothers is something you will never forget.